It is one of the biggest questions that many indie iOS developers will ask themselves regarding porting their app to Android. All too often leaping before checking the depth of the waters below, not really thinking of all the outside costs of both time and money, the need for test devices, and the amazing diversity of the capabilities of said devices. Unlike Apple’s closed infrastructure, the sheer fragmentation of Android devices can be both daunting and difficult for iOS developers wanting to make their game equally accessible by Android’s gaming community. Unfortunately for indie developers who might only have a one or two man team, this device diversity shows no signs of stopping and it can be overwhelming and in some cases, downright paralyzing given the small number of resources available to throw at the increased number of bugs and support issues that the developers are likely to face should they successfully get the Android app out on the marketplace. Before they know it, they are too busy chasing down Android issues to be working on their iOS titles. 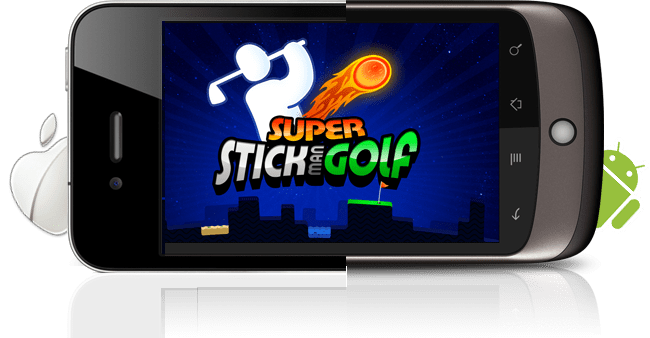 Unfortunately these issues are all too familiar to the team at Noodlecake Studios, who learned a lot while successfully porting their Super Stickman Golf game to Android. After this experience, they knew they wanted to put these ‘lessons learned’ to good use to assist other developers eager to open up additional revenue streams by porting their own iOS titles to Android as well, so they created Noodlecake Games. This new porting and publishing entity is designed to not only handle the porting process, but all of the ongoing Android support issues and distribution amongst the various marketplaces. Through their efforts over the past year, Noodlecake has developed technology that allows them to run iOS code natively on android devices. 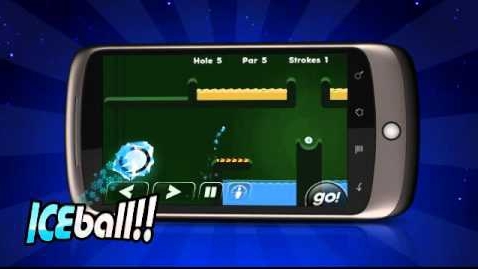 “What that means for developers is there is no need to rewrite iOS code for the Android platform, it all runs automatically.” In fact, Noodlecake Studios has created of Noodlecake Games, a porting and publishing entity designed to not only handle the porting process, but all of the ongoing Android support issues and distribution amongst the various marketplaces. The initial response that Noodlecake has received from the iOS development community has been overwhelming, leading them to the launch a Game A Week Project (#GAWP). Starting with their own title, Lunar Racer, and then moving onto developer Matt Rix’s extremely popular puzzle game Trainyard, Noodlecake Games will be bringing a new iOS game to the Android market each week thereafter for the upcoming months. How about you, do you need assistance bringing your iOS game to Android too? If you are a developer or want to learn more about Noodlecake Games and the Game A Week Project, Noodlecake wants to hear from you. You can find more information at noodlecake.com or contact Noodlecake’s Ryan Holowaty directly at ryan@noodlecake.com.